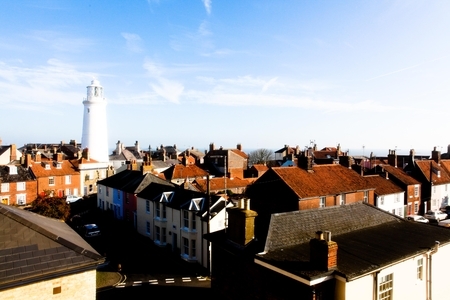 Adnams has brewed beers in the quaint little town of Southwold since 1872. 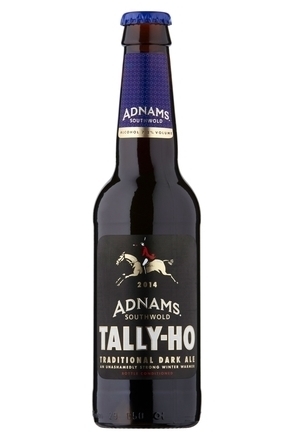 Despite now producing some 24 million pints of traditional English beer annually, the company remains family owned. 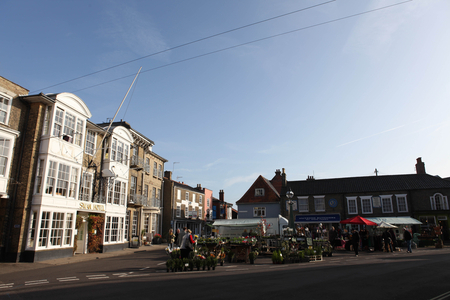 They also operate five hotels, some seventy tied pubs, a multi-award winning wine business and a small chain of ‘Cellar and Kitchen’ retail stores. 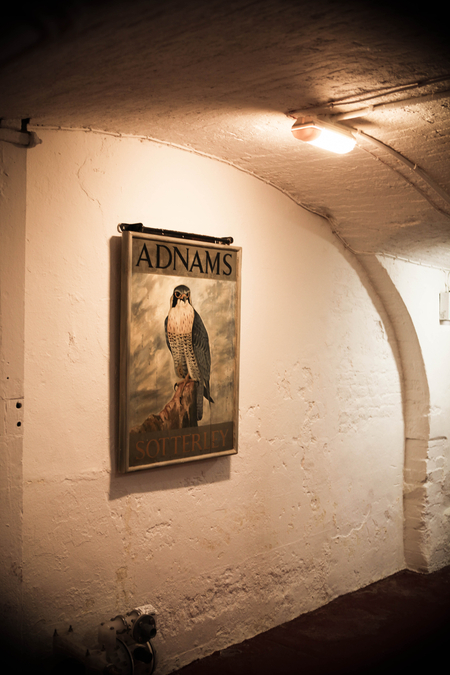 In a brewing world where multinational conglomerates own and brew beer brands across several continents, Adnams is a relatively small brewer. 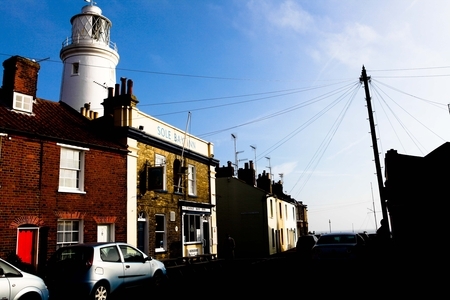 However, in Great Britain, particularly in the South East of the country, it is one of the best known and most respected brewers of traditional cask and bottled ales. 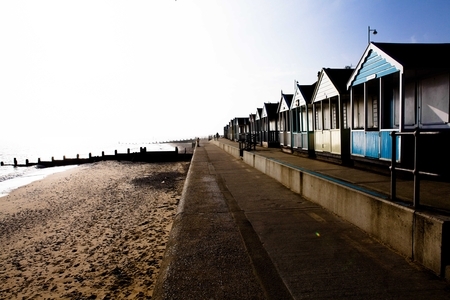 Situated close to the beach on the Suffolk coast, Adnams Plc is a company more concerned with environmental issues and the care of its workforce than it is in becoming a multinational conglomerate – indeed when questioned about the idea of even looking to export its products oversees its chairman, Jonathan Adnams, told me that his objective was closer to home, citing the unrealised opportunities in the south of England, let alone the rest of the UK. 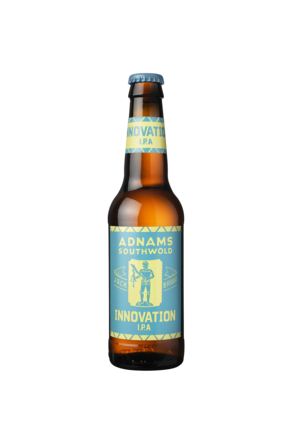 When you understand how committed Adnams is to sustainability and carbon reduction techniques is not surprising that the company would rather work to build markets for its output closer to home rather than ship its goods to far-flung markets. 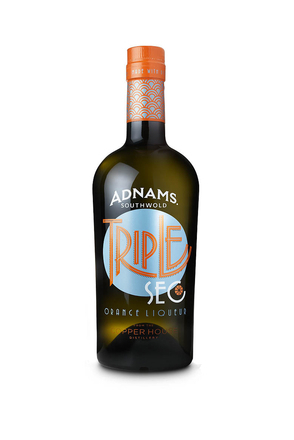 He and his team spent eighteen months researching the premium and super premium spirits market to see if spirits production at Adnams would be viable. They also travelled to the USA, Germany and Lithuania to study various distillation techniques and search for the best equipment available. 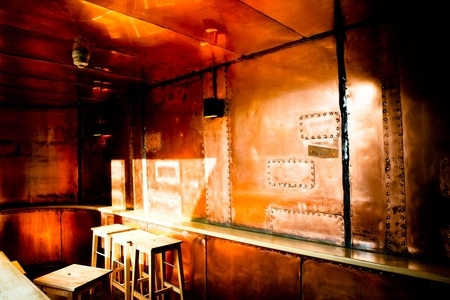 Jonathan’s dream to both brew and distil on the same site was also driven by the installation of state-of-the art Huppmann brewing equipment. Completed in 2007, this provided extra brewing capacity, and with computer-controlled brewing limitless variations of brew recipes can be made. 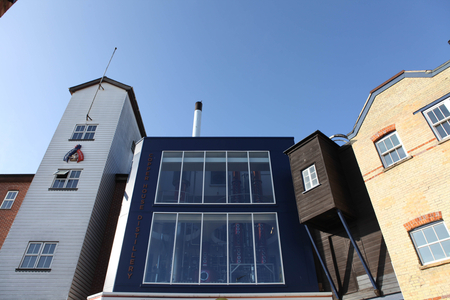 It also left the building which formally housed the old brewing equipment empty, its height perfect for housing stills. Even the steam boilers that power the boiling process of the brewery had sufficient extra capacity to power a couple of column and pot stills. 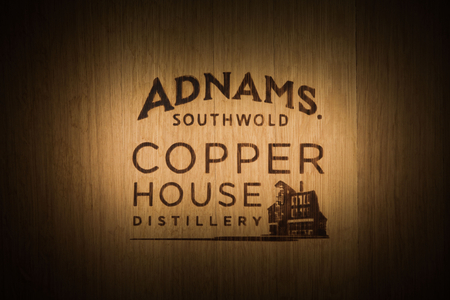 In addition, a recently completed bio digester also provided Adnams with the ability to process its own waste effluent from a distillery. By December 2009, all that stood in the way of realising Jonathan’s distilling dreams was the granting of a distilling licence by HM Customs & Excise and two arcane English laws looked to make that impossible. 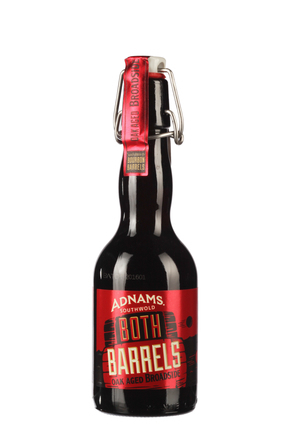 One a law, which dated back to the 1800s, stated that brewers could not also be distillers on the same site. A second stated that the minimum size for a pot still should not be less than 18 hectolitres. The first of those ancient laws had not been challenged because previously no other distiller had apparently dreamt of also selling beer, and conversely, it would appear that no other brewer had passionately wanted to also be a distiller. 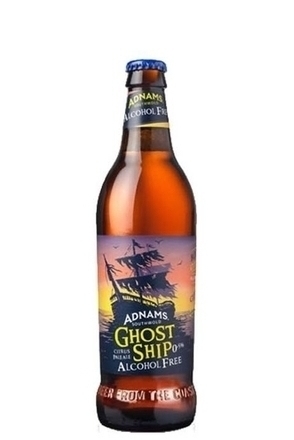 Jonathan Adnams was apparently unique in his ambitions. There is probably some truth in the suspicion that the second law was designed to suit existing large distillers – a law requiring new stills in the UK to be a massive 18 hectolitres effectively prevented small boutique distillers providing unwanted competition. 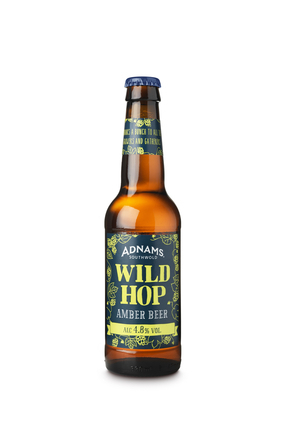 Fortunately Adnams had an unlikely ally in the shape of a very helpful and enthusiastic local excise officer who advised that the only way to clarify these points was to submit an application for a licence. 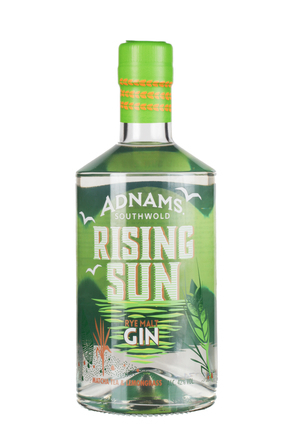 So in January 2010 they made a full licence application and to their delight were granted a distiller’s licence on 3rd April 2010. Jonathan immediately placed an order for stills, vats and other distilling equipment. By July, they had completed work to add a new frontage and re-roof the old Copper House Brewery ready to house the new distillery. Mid-August saw the arrival of the process and alcohol storage tanks from Lithuania and, in late September, the stills from Germany. Incredibly, after a hectic month of plumbing and wiring-up the distillery, distilling commenced with their first stripping run of beer followed by a vodka rectification run. The first vodka came off of the still at 4pm in the afternoon on the 14th October. 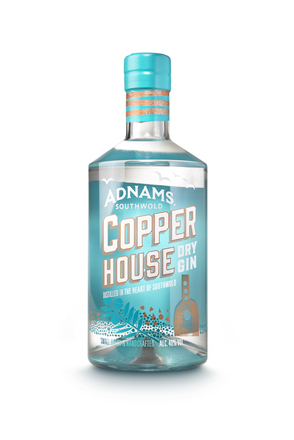 Jonathan believes they are the first combined brewery and distillery in England to be able to produce vodka, gin and whisky. As he says, “from grain to glass”. 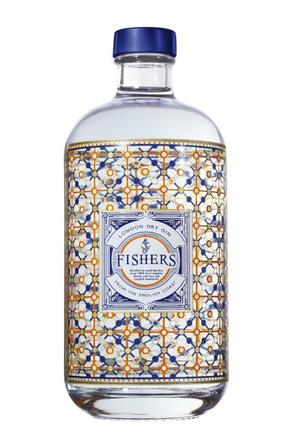 Fishers gin is distilled on the Suffolk coast using herbs and botanicals found along the nearby coastline, sourced by botanist, James Firth.